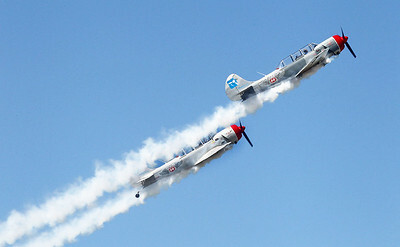 Candace H. Johnson-For Shaw Media The Aerostars team flies precision formation aerobatics with Russian YAK-52's during the Northern Illinois Airshow at the Waukegan National Airport. 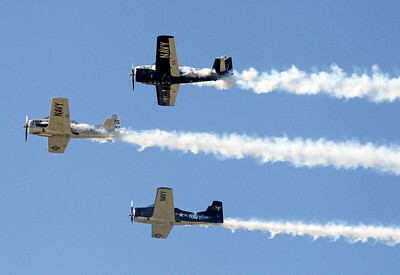 Candace H. Johnson-For Shaw Media The Trojan Thunder team flies T-28 Trojans from the 1960's and 1970's during the Northern Illinois Airshow at the Waukegan National Airport. 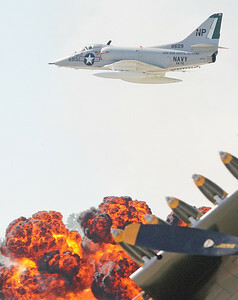 Candace H. Johnson-For Shaw Media Paul Wood, of Lake Forest flies the A-4 Skyhawk as he displays a simulated bombing run during the Northern Illinois Airshow at the Waukegan National Airport. 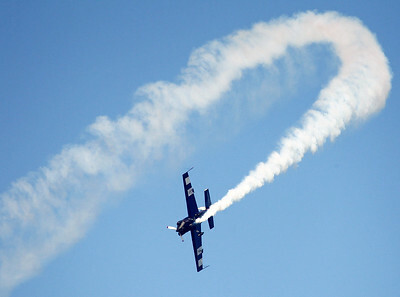 Candace H. Johnson-For Shaw Media A single plane from the Aerostars team in a YAK-52 does an inverted roll during the Northern Illinois Airshow at the Waukegan National Airport. 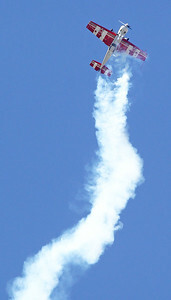 Candace H. Johnson-For Shaw Media Mike Vaknin with the Dacy Airshow Team flies an Extra 300 plane during the Northern Illinois Airshow at the Waukegan National Airport. 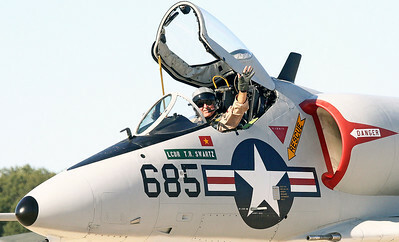 Candace H. Johnson-For Shaw Media Paul Wood, of Lake Forest waves to the crowd in an A-4 Skyhawk during the Northern Illinois Airshow at the Waukegan National Airport. 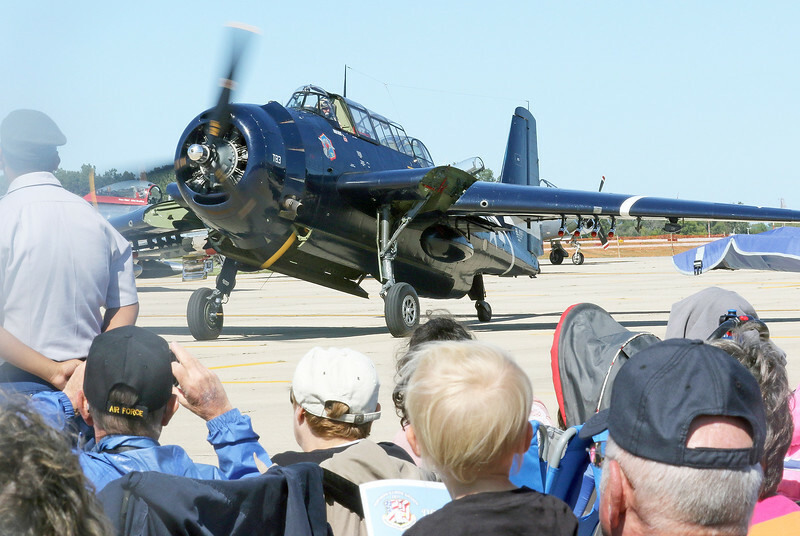 Candace H. Johnson-For Shaw Media Brad Decker, of Peru passes the crowd in a TBM Avenger torpedo bomber during the Northern Illinois Airshow at the Waukegan National Airport. Candace H. Johnson-For Shaw Media A T-28 Trojan military trainer is on display during the Northern Illinois Airshow at the Waukegan National Airport. 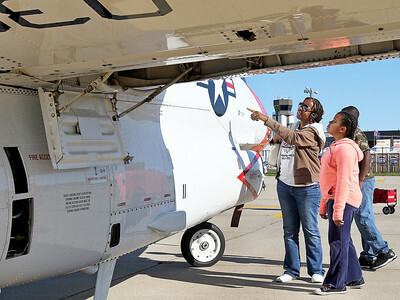 Candace H. Johnson-For Shaw Media Julie Thorn looks at a Warbird Heritage Foundation's T-2 Buckeye with her daughter, Cayla, 11, and nephew, Marshaun Ferguson, 13, all of Waukegan during the Northern Illinois Airshow at the Waukegan National Airport. 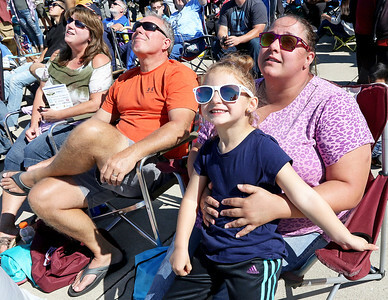 Candace H. Johnson-For Shaw Media A crowd of people look up at the sky during the Northern Illinois Airshow at the Waukegan National Airport. 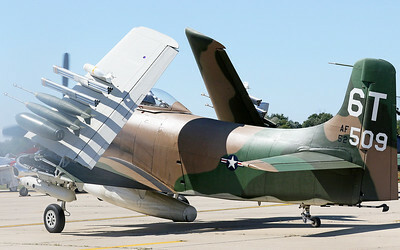 Candace H. Johnson-For Shaw Media An A1 Skyraider loaded with simulated armament has its wings pulled up while taxiing on the tarmac during the Northern Illinois Airshow at the Waukegan National Airport. Brad Decker, of Peru passes the crowd in a TBM Avenger torpedo bomber during the Northern Illinois Airshow at the Waukegan National Airport.